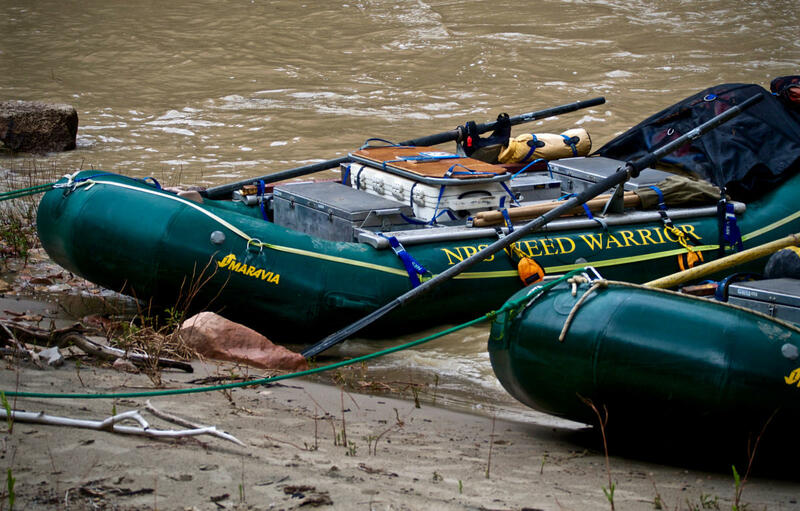 Official transportation of the Weed Warriors of Dinosaur National Monument. Invasive species outbreaks often adhere to a common scenario. Sort of like the plot of a real life scary movie playing out in slow motion. When Ross Chambless recently re-watched the movie Gremlins, he couldn’t help but think about phragmites, one of northern Utah’s well known invasive species. The Colorado River has lots of fish in it, but not all are native, and not all are nice. Krissy Wilson is the Native Aquatic Species Program Coordinator at the Utah Division of Wildlife Resources. She oversees a statewide program for native fish, amphibians, reptiles, and mollusks. Ross Chambless spoke with her about the good, the bad and the ugly of the Colorado River’s fish, and what’s being done to protect the natives. 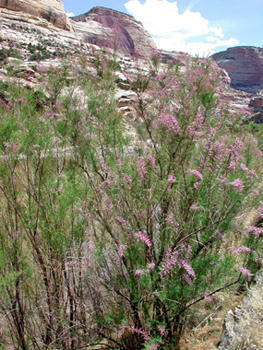 A flowering tamarisk bush along the Yampa River in Dinosaur National Monument. When Tamara Naumann started as a park botanist at Dinosaur National Monument she had a budget of $500 to try and get rid of the invasive tamarisk and Russian olive that choked out native vegetation along the river banks on the Green and Yampa Rivers. In order to stretch that $500 she recruited volunteers to become Weed Warriors and successfully beat back the non-native species in the park. Meet the Creative Minds Behind the "STD of the Sea"
UPR’s Jennifer Pemberton has been focused on invasive species for this month’s episode of The Source. Today, she brings us this story about the creative minds behind this summer’s most memorable public service announcement. Wildlife authorities in Arizona and Utah are considering a plan to kill off an invasive fish species to protect another fish in the Virgin River. Officials plan to meet Wednesday in Mesquite, NV to discuss a plan that would involve using the chemical Rotenone to kill off the intrusive red shiner. Virgin River Representative Steve Meismer said the invasive species was released into the river in the 1970’s and has threatened the survival of the Virgin chub and the rare woundfin, a 4-inch minnow found in no other part of the world. Utah Lake has a reputation for being a murky, polluted mud-hole. The Utah Lake Commission exists to manage the lake, enhance its value as a resource, and change the lake's murky reputation. It collaborates with multiple state agencies to sustainably develop Utah Lake to its full potential, both as a recreational area and as a natural resource.